Is India fishing in Pakistan's troubled waters? Has Modi stepped up India's covert war in Pakistan in 2014? What should Pakistan's new national narrative be to fight terror? 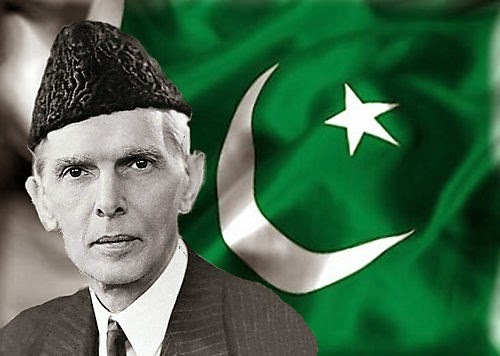 Should it be based on Quaid-e-Azam Mohammad Ali Jinnah's vision of tolerance for differences and inter-faith harmony in Pakistan as laid out in his many speeches on the subject? How can Pakistan succeed in stopping ongoing bloodshed? What is the role of the civil society, the mass media and the politicians in it? Has Modi Stepped Up India's Covert War Against Pakistan? Quaid-e-Azam Inspired by Misaq e Masina? I love your country Pakistan- if we can get together .. we can be superpower .. ----??? A small nation, top in corruption, least in economies, seen as declining nation, filed as a failed state smashed by army, safe heaven for looters and you name it.. and YET.. And YET is worth talking about. People in US and Europe, In China and India talk about us. I have not seen the speeches where you get examples of tackling, Bangladesh, Indonesia, Malaysia, and many other Muslim Countries. Wow we are such threat to India.. Itnay say muthi bhar log in k dil o dimagh par chaa chukkay hein. The ISI, Pakistan’s intelligence agency, is notorious for aiding the Taliban. And after years of being hunted, al-Qaida leader Osama bin Laden was finally eradicated by Navy SEALs in a raid on his compound in Abbottabad, home of Pakistan’s military academy. The U.S. Congress was so concerned about Pak­istan’s relations with jihadi groups that it put a hold on about $300 million designated for Pakistan’s military unless the Pentagon and State Department prove that Pakistan is cooperating in the fight against the Taliban, Haqqani network, al-Qaida and other insurgent groups. Sen. Bill Nelson, a senior member of the Senate Armed Services Committee, “thinks it’s an appropriate step to take until the secretary of defense testifies before Congress that progress is being made there,” according to Ryan Brown, a spokesman. But Mahmood’s comments also come at a time of closer U.S.-Pakistani relations. The Pak­istani media was abuzz with last month’s visit to MacDill by Army Chief of Staff Gen. Raheel Sharif. Sharif met with the commander of U.S. Central Command, Army Gen. Lloyd Austin III, who praised Pakistan’s fight against insurgents. Centcom oversees U.S. military operations in Pak­istan and 19 other countries in the region. Mahmood, in a telephone interview with The Tampa Tribune, said Pakistan’s military had dramatically stepped up its offensive against the Taliban even before the Dec. 16 attack on the Army Public School and College in Peshawar that killed 149. Aside from regular army forces, Mahmood said, Pakistan’s special operations and air forces are battling the insurgents as well. “More than 500 airstrikes have been carried out by the air force in the past few months,” Mahmood said. The ongoing offensive, he said, is not limited to the border areas. The school massacre has only stiffened his nation’s resolve, Mahmood said. Well? Do you agree with her assessment? HWJ: "Your favorite analyst of AfPak issues says NOTHING will change because of this horrific attack......"
Hope she's wrong in her skepticism. Before writing and promoting an anti-Pakistan book in India, American analyst and author Christine Fair said this in 2009: "Having visited the Indian mission in Zahedan, Iran, I can assure you they are not issuing visas as the main activity! Moreover, India has run operations from its mission in Mazar (through which it supported the Northern Alliance) and is likely doing so from the other consulates it has reopened in Jalalabad and Qandahar along the border. Indian officials have told me privately that they are pumping money into Baluchistan". Prominent Pakistani Baloch insurgents like Brahamdagh Bugti are also being sheltered by the Afghan security and intelligence establishment along with RAW. In Pakistan, despite the myth-making surrounding fundamentalism, the country is yet to develop a counter narrative to the anti-Western and pro-extremism agenda of militants. Following General Ziaul Haq's rule and Pakistan's involvement in the Afghan affairs, we are yet to turn the page on radicalism. Some accuse the madrassa culture for this, which has become a symbol of challenging the state through a parallel support system in the absence of robust national infrastructure. Others hint at the economic chasm between the haves and the have-nots, which is exploited by militants. In such a context, the army introduced Sabawoon in 2009, an institution located in Mingora, Swat, which aims to deradicalise juvenile militants between the ages of 12 and 17, in order to rehabilitate them as productive members of society. A key objective here was to assist the millions who were displaced during the army's operation that attempted to expel the Taliban from Swat in 2009. Sabawoon's underlying philosophy is to provide young people with a new chance at life. During Operation Rah-e-Rast, several juvenile militants were apprehended or surrendered. They have been provided with education, vocational training and psychological counselling, as well as courses in ethics, patriotism and religious instruction. Once these individuals complete their training, they are absorbed into relevant occupations. Sabawoon's most challenging task is to enable these young people to 'unlearn' what they have been taught about religion during their militancy training. Being captured at a young age by militants makes them sceptical to accepting an entirely contradictory doctrine at a later stage. The second measure of success for the centre is following up on graduates and ensuring that they do not revert to their previous lives. Sabawoon's emphasis on imparting a secular curriculum geared towards harnessing professional skills, in addition to providing religious knowledge is praiseworthy. Being a first-of-its-kind endeavour to combat the menace of extremism, it provides a unique kind of intervention for young potential suicide bombers. Through vocational training, it seeks to provide alternatives to bridge the poverty trap that is earmarked as a major the cause of extremism in the country. The question though is of scalability. In order to bring about transformation at a much wider level, it is vital to target juvenile militants across multiple geographical locations. The double-edged impact of madrassas is ubiquitous across the country, with young people systematically targeted across each province. Therefore Sabawoon, rather than representing a single institution, must begin to symbolise a paradigm shift in the way of thinking represented by Pakistan's bureaucracy, private sector and military, through to its grass roots level organisations, when strategising counterterrorism techniques. Secondly, when tackling root causes leading to the development of child soldiers and militants, the pitfall of 'madrassa closure' must be avoided, as it is likely to spark reactions among those who may view this as an anti-Islamic endeavour. Instead, both the public and private sectors must begin effectively implementing regulations for professional registration of these institutions, monitor their standards and content of curriculum and demand accountability for non-adherence. Whilst the Musharraf regime did attempt to undertake a madrassa reform plan, this was not successful. Following in Sabawoon's footsteps, other alternative interventions are the need of the hour. Institutionalising counterterrorism will ensure that these productive options remain available to vulnerable individuals beyond a particular regime or leader. In the lack of an effective deradicalisation framework for young militants (existing and potential), the country may witness another lost generation. Can you imagine how Mamnoon Hussain, Pakistan's current president, Shaukat Aziz, the former prime minister or Dr. Ishrat Hussain, the ex-governor of the State Bank of Pakistan, had reacted to the startling news on Wednesday that a young graduate of their alma mater, the prestigious Karachi-based Institute of Business Administration (IBA), had masterminded the assassination of Sabeen Mahmud, a prominent female liberal activist? When Syed Qaim Ali Shah, the chief minister of the Sindh province, revealed the identities of at least four terror suspects who are believed to be involved in the recent killing of 47 members of the Ismaili community, he was actually informing us about a chilling pattern among the jihadist groups in Pakistan: the radicalization and subsequently the induction of well-educated students from the elite schools. Why would a graduate from the country's best business school, which has produced a president and a prime minister for Pakistan, become a terrorist? This should not completely shock us. It should instead redirect our attention toward one aspect of the jihadist movements that the government officials, policymakers and academics do not normally talk about. The conventional wisdom suggests that poverty, illiteracy, underdevelopment and negligence breed terrorism. We have also been repeatedly trained to visualize an Islamic extremist as a bearded man who is dressed in the traditional attire with a cap on his head and he almost always comes from a small remote mountainous town. That is not always true. You can belong to a rich family, attain the best education that money can buy, speak fluent English, spend time on the internet and still end up as a religious fanatic. Pakistan is certainly not the only country where wealthy and well-educated young people are being attracted to violent extremist movements. With the dramatic rise of the Islamic State of Iraq and Syria (ISIS), experts estimate that over 6000 European and around 150 Americans nationals have joined, or at least attempted to join, the terrorist group. This spurns the simplistic assumption that only the poor and illiterate can be indoctrinated to join violent jihadist movements. While the western countries can no longer ignore the threat of homegrown terrorism and possible collaboration between their citizens and the foreign terrorists, they at least have the resources and the infrastructure to grapple with this challenge at the nascent level before it grows much bigger and poses a more serious threat to the western societies. Pakistan is clearly not a developed western nation. It has shown no signs of winning its fight against radical Islam and now the expansion of the Jihadist mindset to the elite educational institutions only deepens the existing crisis of religious radicalization. In fact some of the most high profile Pakistani jihadists received education from the renowned western institutions. For example Ahmed Omar Saeed Sheikh, the British-Pakistani terrorist sentenced to death for his involvement in the 2002 kidnapping and the beheading of the Wall Street Journal reporter, Daniel Pearl, attended the London School of Economics. Dr. Aafia Siddiqui, an Al-Qaeda courier and financer who was sentenced to 86 years in prison in 2010 for two accounts for attempted murder, obtained a BS in biology in 1995 from the Massachusetts Institute of Technology (MIT) and a Ph.D. from Brandeis University in 2001. Faisal Shahzad, the mastermind of the 2010 failed car bomb blast at New York's Time Square, grew up rich at the house of a retired senior Pakistan Air Force official. He earned an MBA from the University of Bridgeport.